In response to the horrific attacks on Japanese nationals by ISIS (ISIL) and their deliberate or inadvertant mockery of ninja tradition, the Japanese government has secretly dispatched a band of ninjas to take out the spokesman for the group—the silvery tongued British national known as “Jihadi John.” The batch of ninja (忍者), who’s exact numbers remain undisclosed for security reasons, are working covertly with the Japanese government and Jordanian forces to infiltrate & disrupt ISIS activities, and carry out a singular assassination. 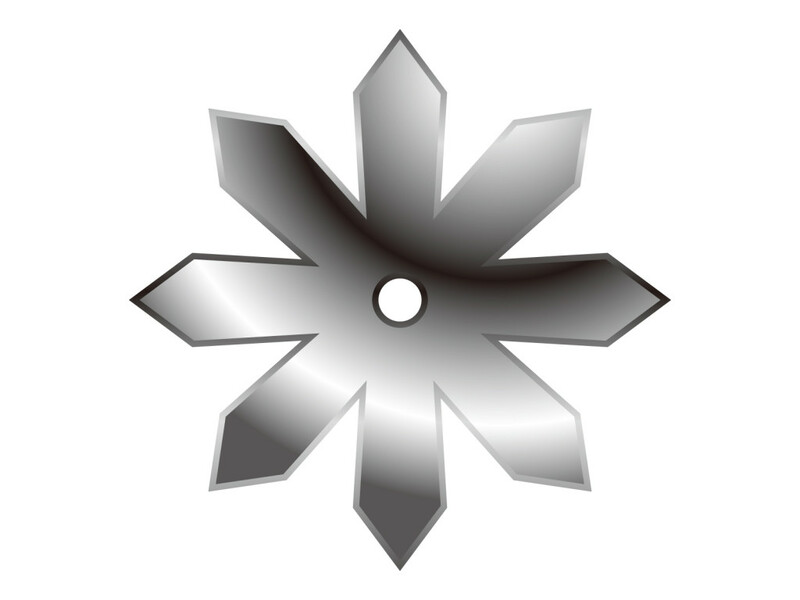 Their titanium GPS coded shuriken(手裏剣) aka “ninja throwing stars” have been manufactured at record speed by Mitsubishu Heavy Metals, and they are reportedly armed with the latest fire arrows, tekko-kagi, and light-weight carbonite explosive swords. The two Japanese hostages were taken by ISIS forces in August and October of last year. While Japan’s Ministry of Foreign Affairs not only failed to open channels to negotiate their safe return, the Abe administration has made a series of diplomatic errors in handling the problem. On January 17th, Prime Minister Shinzo Abe made a speech in Cairo on Middle Eastern policy, pledging 200 million dollars for the fight against ISIS, which according to Japan’s Jiji News, “created an incredible backlash in the Muslim world and with ISIS, resulting in the release of the video as retaliation and a warning.” Apparently, Prime Minister Abe had sort of forgotten that ISIS held two Japanese nationals as hostages, or didn’t really care. In the video released by ISIS on January 20th, the spokesman for ISIS, who is also known as Jihadi John, threatened to kill two Japanese hostages in Syria if Japan did not pay a $200 million dollar ransom within 72 hours. 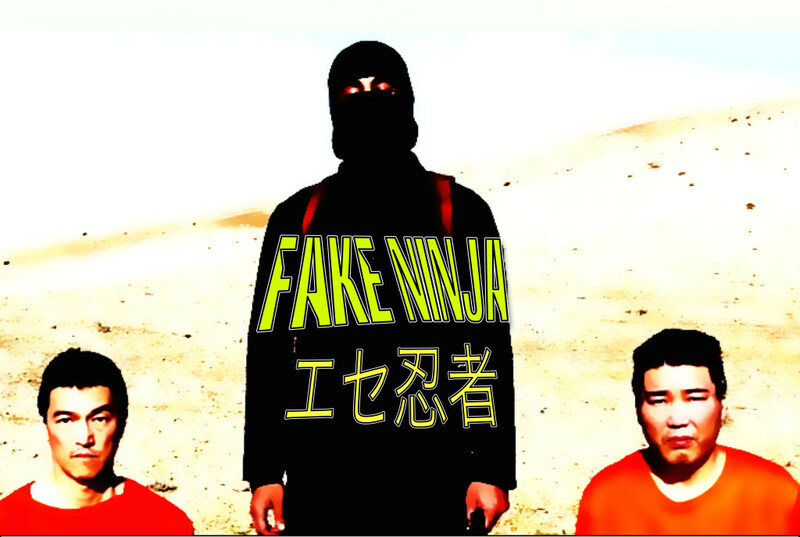 In the video, Jihadi John, clad completely in a black costume —“clearly mocking the Igari-ryu school of ninjutsu”–threatens the two hostages dressed in orange prisoner outfits, while brandishing a what many believe to be a fake ninja sword (忍刀/shinobigatana) or possibly a kunai (苦無/multi-use ninja throwing knife). “Jihadi John, your life shall be as short as a flash of winter sun on the steel of a ninja throwing star. We are coming for you, ” warns leader of Japan’s Ninja Squad. The administration of Prime Minister Shinzo Abe, who have seemed clueless and incompetent in the handling of the hostage situation, even after knowing ISIS had held both men hostage since November of last year, has attempted to redeem themselves by calling upon Japan’s Ninja warriors to strike deep at the heart of the enemy. Meanwhile, the Japanese people, in a courageous showing of solidarity with the hostage victims have launched a devastating attack on the pride of ISIS by making fun of them, relentlessly using Japan’s most powerful weapons: Photoshop, cloying cuteness & irreverent humor. However, with the secret society of ninjas now joining the fray–the battle has been taken to a new level. ISIS has finally met its match, Japan’s elite troop of deadly stealthy ninja. You can terrorise the nation, but mock the ninja—bad idea. Master Igari then added, “Jihadi John, cowardly killer of peasants–we are coming for you. Your life shall be no longer than the flash of winter sun on the samurai steel of a ninja throwing star; your death shall be more agonising than a wisdom tooth extracted with an earpick. You shall know the wrath of ninja. When the sun sets in your desert kingdom, we shall be in the shadows waiting. 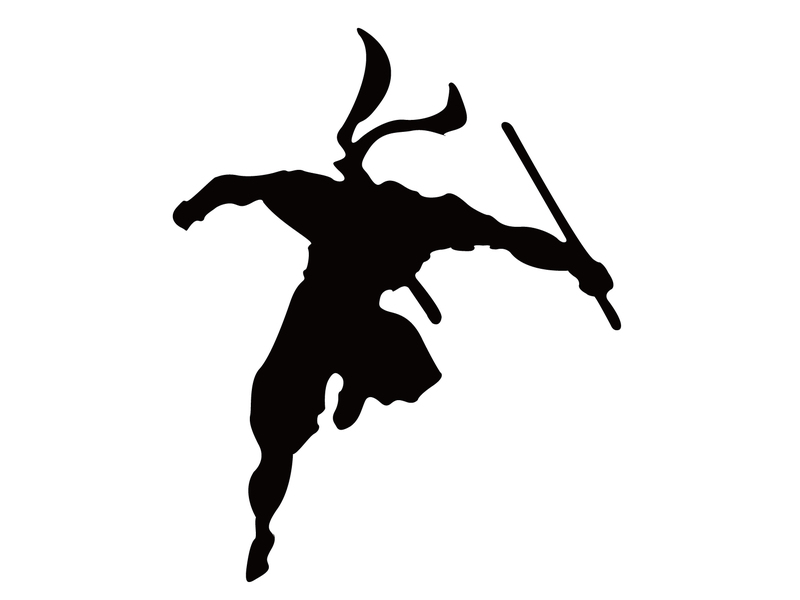 Indeed, you, you should fear you own shadow–because the shadow you see may simply be the outline of the ninja warrior who will end your miserable heretical existence. Watch you shadow; does it move as you move? By the time you realise not so, you will be no more. We will find you, we will cut out your tongue, and we will use it to make shoelaces.”* (Correction: Master Igari later noted that ninja shoes (地下足袋）do not use shoelaces so they would probably turn Jihadi John’s tongue into a cell-phone strap with a cute 忍者太郎 (Ninjataro) mascot figure). The Ministry of Foreign Affairs, on background, stated that they had high hopes for this secret mission. It will serve to show that Japan is not a country to be taken lightly and at the same time, if the Ninja mission is successful it will do tremendous good for Japan’s soft power push and the promotion of Japanese music, manga and culture aka ‘Cool Japan’ in the West and the Middle East. “You want to know what Cool Japan really is, Jihadi John and you ISIS motherfuckers? It’s your stone cold corpse on the sand—there will be nothing ‘cooler’ than that. That is joke. Very cool equals ‘cold’. Stone cold dead. Cool Japan. Banzai, ” clarified the official. *Note: This is satire. Why make fun of terrorists? Because fear is their power. Laughter is their enemy. Ridicule is the one thing they can’t stand. And we sort of wish Japan would send some ninjas to Syria because ISIS are a bunch of assholes.